Open all day and late into the evening, it’s popular with visitors and locals alike. 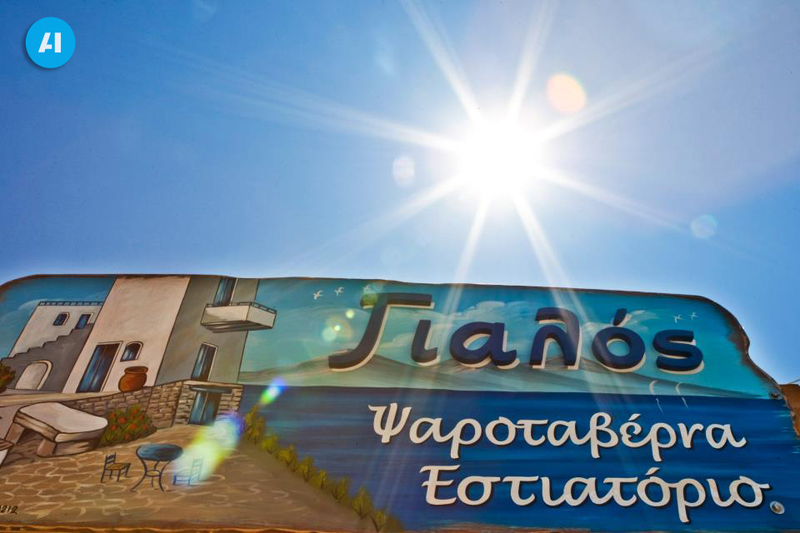 You’ll find Yialos on the beach road between Skala and Milos, about a 10 minute stroll from each village. Immediately opposite its own private beach, the taverna has panoramic views across the sea to the Peloponnese, Aigina and, on a clear day, all the way to Athens. At night, the gentle atmosphere is enhanced by the sparkling lights of distant islands and clear views of the stars. Catering for all tastes the taverna combines traditional local recipes with more familiar dishes from around the world. Agistri is famous for its fresh fish; squid and octopus caught right off its coast and delivered straight to the tavernas. Come and celebrate a meal with friends, a special occasion like a birthday or wedding or simply a lunch to remember at Yialos.